Just wanted to take the time to make note of my royal rock weekend spent seeing Queens of the Stone Age. Last I saw these guys, I was in rainy Atlanta, chatting them up in catering. Night two at Barclays in Brooklyn was a huge production. I arrived early to catch The Kills, who conquered the stage with Alison Mosshart’s huge vocals and dynamic stage presence, accompanied by a “drum corp”-syle percussion section. A short set by the duo was followed swiftly by QOTSA. Though they played an almost-identical set to the Boston gig, the experience was still a whole different one, with a much grander arena atmosphere, aggressive fans, and booming sound system. I managed to catch a few moments during the weekend! Check some photos from Saturday at Barclays and “Smooth Sailing” from Boston on the Rocker Stalker Facebook page! 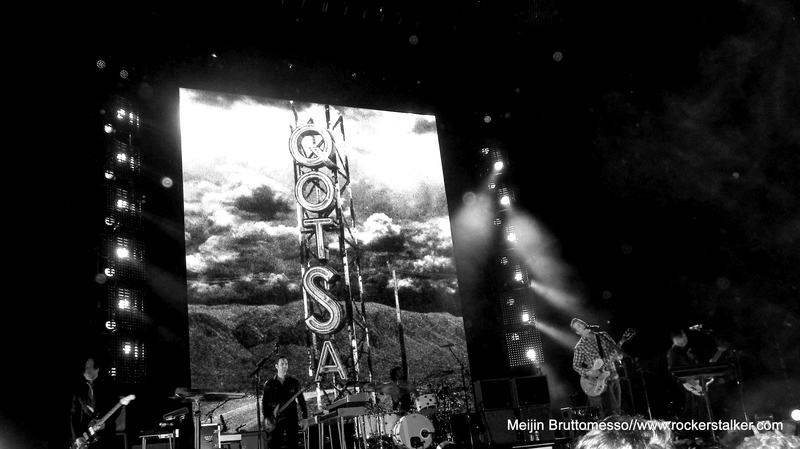 Oh, and congrats to QOTSA for their THREE Grammy nominations for …Like Clockwork! Well deserved!